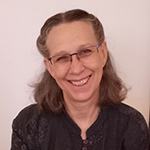 Vicki L. Beyer – Jarman International K.K. Favorite Thing About Living in Japan: Always something new to learn or explore. BIO: Vicki is a professor of law and former in-house employment/corporate lawyer. She is also a freelance travel writer who has been writing about exploring Japan for a decade, capitalizing on nearly three decades of experience living and traveling in Japan. She’s particularly interested in the relationship between people and places, both historically and currently. From mid-2018, Vicki was appointed as a “Cool Oka-ku Ambassador” (a/k/a Glibal City Ota Ambassador) to aid Tokyo’s Ota Ward (where she lives) in its efforts to promote international tourism in the area.